Although purchase intention scales are widely used, relatively little is known about bias and variability in the estimated purchase proportions. Psychometric techniques have been developed to correct for such problems, and analytical approaches have shown that most predictive errors can be explained as probabilistic variability. However, there is a lack of systematic empirical work in the area. We address this problem using two meta-analyses of published work. Our results show that purchase intention scales are empirically unbiased. Furthermore, the variability is much less than previously assumed. This finding improves the confidence researchers can have in the use of such scales. Interestingly, purchase probability scales performed even better than purchase intention scales. The greater precision of probability scales suggests that they may be more useful both as direct measures of likely behavior and as dependent variables in consumer behavior research. Thanks to the Academy of Business Research at Massey University for financial support, to Dr. Mike Brennan for assistance with the stated purchase probability literature, to Associate Professor Ron Garland, members of the Ehrenberg-Institute, Professor Pierre Chandon and the editor and three anonymous JAMS reviewers for helpful comments. Byrnes, J. 1964. “An Experiment in the Measure of Consumer Intentions to Purchase.” Proceedings of the Business and Economics Statistics Section, American Statistical Association. In Juster, Thomas F. 1966. “Consumer Buying Intentions and Purchase Probability: An Experiment in Survey Design.” Journal of the American Statistical Association 61(September): 658–696. Brennan, Mike, and Don Esslemont. 1994. “The Accuracy of the Juster Scale for Predicting Purchase Rates of Branded Fast Moving Consumer Goods.” Marketing Bulletin 5: 47–52. Brennan, Mike, Dean Hini, and Don Esslemont. 1994. “Obtaining Purchase Probability Data Via Telephone Surveys: A Preliminary Test of Two Techniques.” Marketing Bulletin 5: 64–70. Brennan, Mike, Don Esslemont, and Dean Hini. 1995. “Obtaining Purchase Predictions Via Telephone Interviews.” Journal of the Market Research Society 37(3): 241–250. Clawson, Joseph C. 1971. 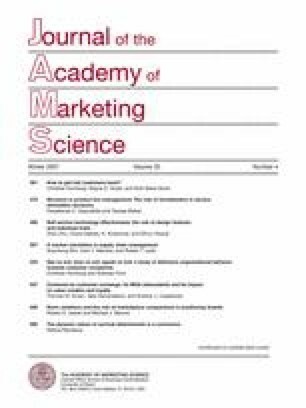 “How Useful Are 90-Day Purchase Probabilities?” Journal of Marketing 35(October): 43–47. Dawes, John. 2002. “Further Evidence on the Predictive Accuracy of the Verbal Probability Scale: The Case of Household Bill Payments in Australia. ” Journal of Financial Services Marketing, 6(3): 281–289. Day, Dianne, Boon Gan, Philip Gendall, and Don Esslemont. 1991. “Predicting Purchase Behaviour.” Marketing Bulletin 2: 18–30. Gendall, Phil, Don Esslemont, and Diane Day. 1991. “A Comparison of Two Versions of the Juster Scale Using Self-Completion Questionnaires.” Journal of the Market Research Society 33(3): 257–263. Pickering, J. F. and Baron C. Isherwood. 1974. “Purchase Probabilities and Consumer Durable Buying Behaviour.” Journal of the Market Research Society 16(3): 203–226. Wright, Malcolm. 2002. “Two Methods for Estimating Category Statistics—Which is Better?” Marketing Bulletin 13: 1–13. Wright, Malcolm, Anne Sharp, and Byron Sharp. 2000. “Estimating Dirichlet Market Statistics From Survey Data—A Replication.” Proceedings of the Australian and New Zealand Marketing Academy Conference 2000, Griffith University, Gold Coast, Queensland, Australia. Wright, Malcolm, Anne Sharp, and Byron Sharp. 2002. “Market Statistics for the Dirichlet Model: Using the Juster Scale to Replace Panel Data.” International Journal of Research in Marketing 19(1) 81–90. Young, A. 1990. “An Examination of the Accuracy of the Juster Scale for Predicting the Proportion of New Product Purchases.” Unpublished Undergraduate Honours Dissertation, Massey University, Palmerston North, New Zealand.